Spoken feedback to higher colour contrast - Pinterest's new features for visually impaired users! Pinterest, the web and mobile application company that enables users to find information on the web using images and videos, has launched features for users who are visually impaired. Screen reader support - This will give spoken feedback to people with total or partial vision loss. It will make it easier for them to sign up for Pinterest, browse, and save content. 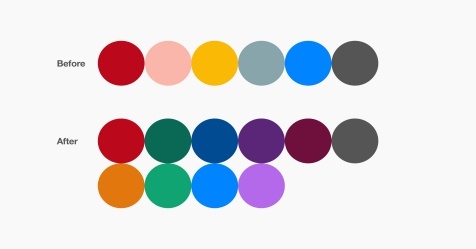 Clear focus indicators - People with visual and motor disabilities can now navigate Pinterest without mice or trackpads. They can use keyboards or other devices to see which part of the site they are focused on. Increased colour contrasts - Text is now easier to read as its set against coloured backgrounds. This is helpful for users with sensitivities to bright colours or low vision. Strong type hierarchy, sizing and bolding - Pinterest has enabled support for dynamic font sizes. This will enable users to change the text size they see via its default accessibility feature.